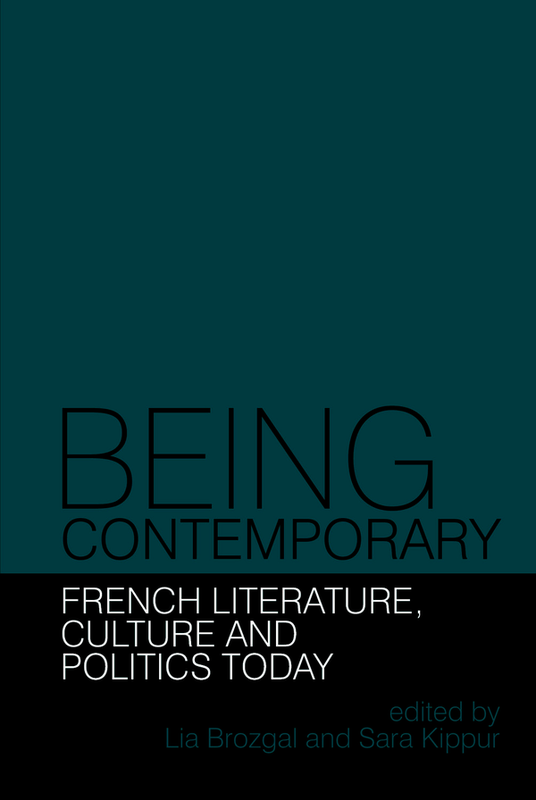 Being Contemporary is a volume of original essays by 23 preeminent scholars of French and Comparative literature, hailing from both sides of the Atlantic, in response to the editors’ invitation to “think through the contemporary.” The volume offers a sustained critical reflection on the contemporary as a concept, a category, a condition, and a set of relationships to others and to one’s own time. Being Contemporary emerges from a sense of a critical urgency to probe the notion of “the contemporary,” and the place of the contemporary critic, in French literary and cultural studies today. Its point of departure is Susan Suleiman’s book Risking Who One Is (Harvard, 1994), which proposed two decades ago that “being contemporary” offers a heuristic category for assessing the role of the scholar and critic, for studying the current moment in literature, art, and culture, and for engaging with historical and philosophical questions in a way that resonates with readers in the present day. Returning to these ideas with renewed vigor, the thought-provoking essays that comprise this volume center on 20th- and 21st-century French literature, politics, memory, and history, and problematize the contemporary as a critical position with respect to the current moment. Lia Brozgal is Associate Professor of French at UCLA. Sara Kippur is Assistant Professor of French at Trinity College, Connecticut.